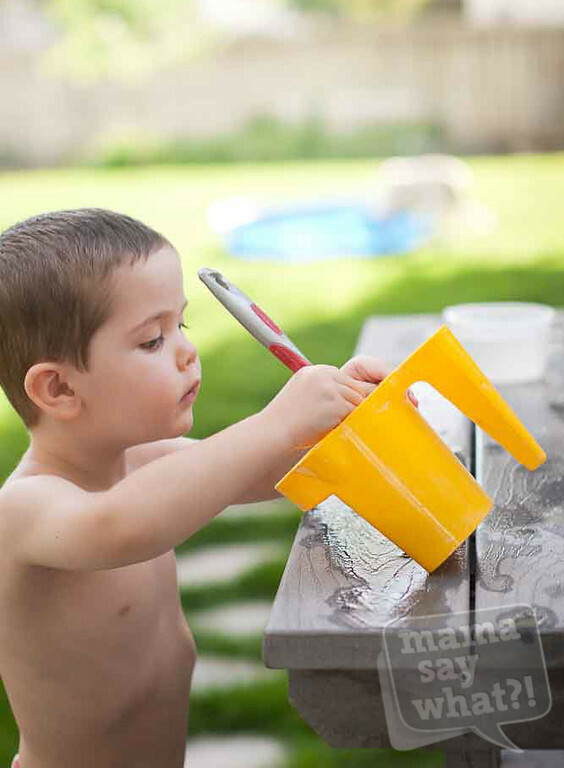 Painting with Water Mama Say What?! | Mama Say What?! One of my earliest memories occurred in the summer of 1980 when my family and I visited my great-grandparents in upstate New York. I was two years old at the time. My great-grandpa took me in their backyard and put me to work “painting” the lilypond (which, in my memory, was a big tire. Turns out it was made out of slate). To paint the lilypond, he gave me a small pot and paint brush. The paint?! WATER! It was genius because it would dry by the time I got back around to the beginning and I would just keep going round and round. It is such a fond memory. Looking back now, it was probably a way to just keep me occupied and happy. Let me tell you, on both counts it worked well. Since it is such a happy memory for me, I couldn’t wait to do it with N. I love when I can do things with him that I did with my grandparents or great-grandparents. In the summer of 2012, N and I went to Utah to visit my mom (TJ & Alex were visiting with us too!). I was telling her about my painting the lilypond memory and she decided we needed to start making the same kind of memories with N. She grabbed some paint brushes and buckets and we went to work. The boys had such a great time “painting” the deck and we had a great time making memories with them. Sometimes, it is the simplest things that bring the most joy. 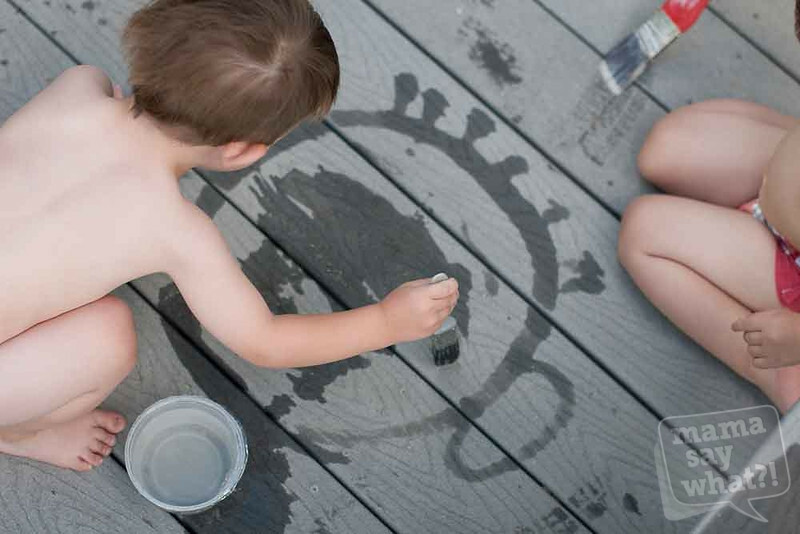 What memories do you have of growing up that you re-create with your own kids? Added by Cari H. on February 23, 2013. What a great idea! Wish I had thought of that with my gang! You can do this with your grandkids! What an awesome idea! I always need fun, cheap activities for my toddler. We are definitely doing this this summer! This is so much fun. You can use what you have around the house. There is no mess. So simple. So fun. Will need to do this.